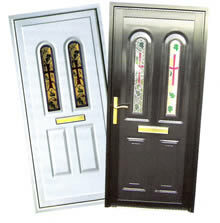 Call the Window Doctor for repairs to windows, doors or conservatories in Essex. Locks can go wrong for a wide variety of reasons. Age can wear down the mechanism or in some instances an attempted break-in can lead to faults. Often if a lock fails, it's an ideal opportunity to replace the whole mechanism for a more recent - and more secure - model. People often choose lock upgrades as a result of Police or Insurance company recommendation. Remember too that we're frequently asked to provide insurance estimates and can do so quickly and with the minimum of fuss. Failed locks are a speciality, especially on uPVC or aluminium windows. Contact the Window Doctor Essex Today! 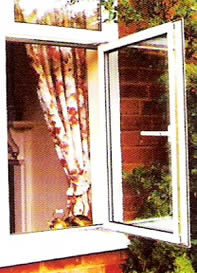 Misting is a frequent problem on double-glazed units. Again this problem can be caused by old age of the unit or sometimes by incorrect fitting. This involves the replacement of the failed glass pane, although in a window repair such as this it's worthwhile hiring the services of a reputable company such as the Essex Window Doctor to ensure further problems don't surface from a poor replacement. All our new and replacement glass has a five year guarantee on parts and labour in the unlikely event of a unit failing. We work hard to replace the broken glass as quickly and efficiently as possible. We're able to match existing tints and shading so you can be sure that the finished job looks every bit as good as the original. At all times we recognise that you appreciate this work to be carried out as quickly, efficiently and fuss-free as possible. Our experienced craftsmen are here to help. Once broken the only remedy is to replace the failed part. As metal parts, older hinges are often prone to rusting due to exposure to the elements as the window is left open. Because of the wide variety of hinges available we are able to use over 15 years of contacts in the industry to source the exact parts you require or a suitable alternative. Once broken the only remedy is to replace the failed part. Because of the wide variety of handles available we are able to use over 15 years of contacts in the industry to source the exact parts you require or a suitable alternative. One of the main problems with an older conservatory is that the roof is prone to leaks. This can be as a result of the weight of the conservatory itself pressing down on the overall loading of the construction; or even deterioration of the seals around window frames. Regardless of the repair that your conservatory needs, we are able to help! The Window Doctor repairs broken windows, broken window hinges, broken window locks, broken upvc patio door locks and hinges, fixes conservatory leaks in SouthEast Essex and offers free quotations for replacement windows and window repairs.